MILWAUKEE – On Wednesday, as the Wisconsin state legislature’s Joint Finance Committee holds a public hearing in Oak Creek, Milwaukee residents will testify to urge the committee to restore driver licenses and state identification cards for all residents of Wisconsin regardless of immigration status or income as part of the 2019-2021 state budget. Press seeking to speak with supporters of Driver Licenses for All should arrive at 10am. 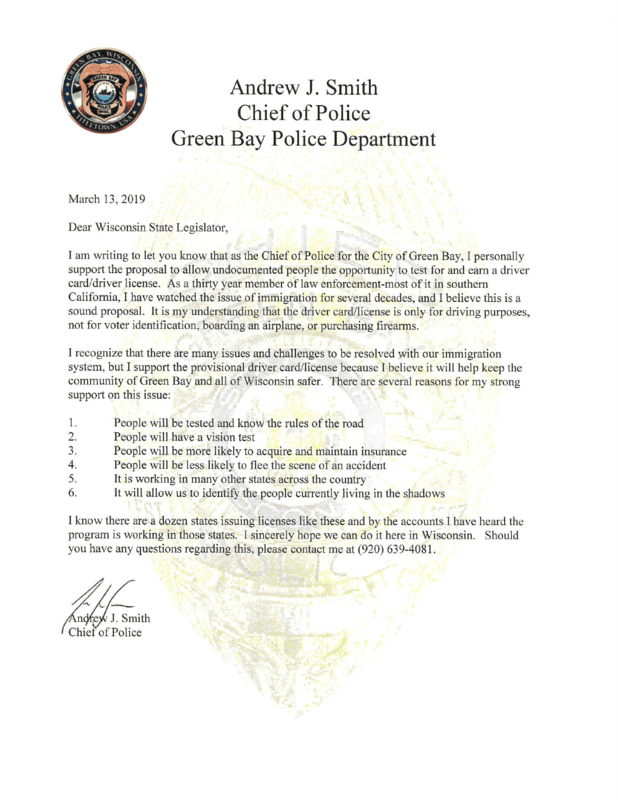 Wisconsin Governor Tony Evers has included measures to restore driver licenses for immigrant Wisconsinites in his 2019-2021 state budget proposal. Leaders from both parties have spoken out in support of restoring driver licenses for immigrants. Wisconsinites could obtain driver licenses regardless of immigration status until 2007, when a law passed by the legislature the previous year requiring driver license applicants to have a Social Security Number went into effect. Voces de la Frontera has called for a Day Without Latinxs & Immigrants general strike for May 1st, 2019, to urge the legislature to restore driver licenses for all. Tens of thousands of Wisconsinites are expected to leave work, close their businesses, withdraw their children from school, and head to Madison, where a rally is scheduled for 11am on the State Street steps of the Wisconsin State Capitol.